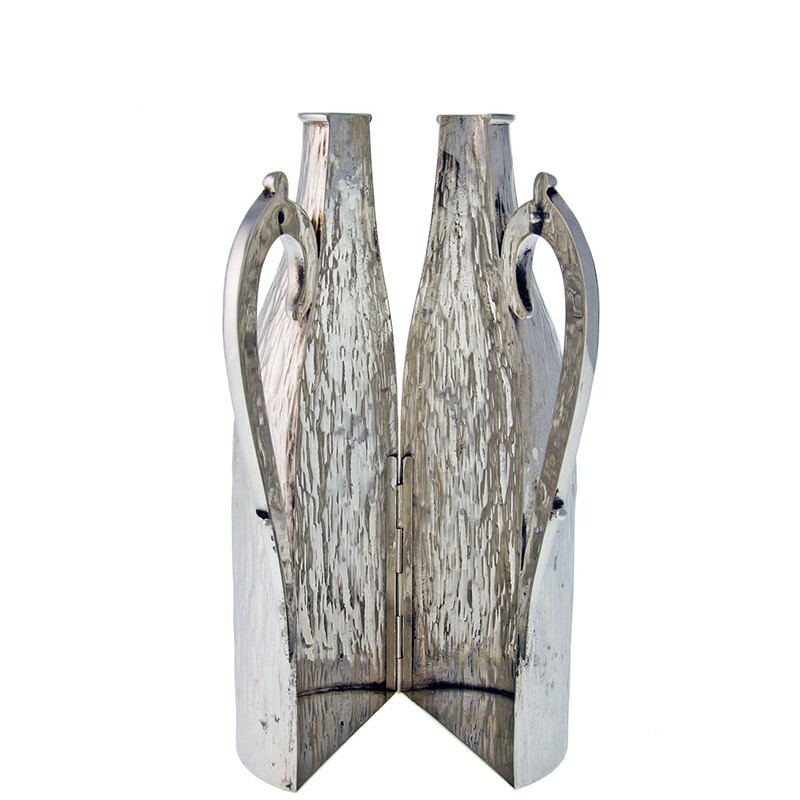 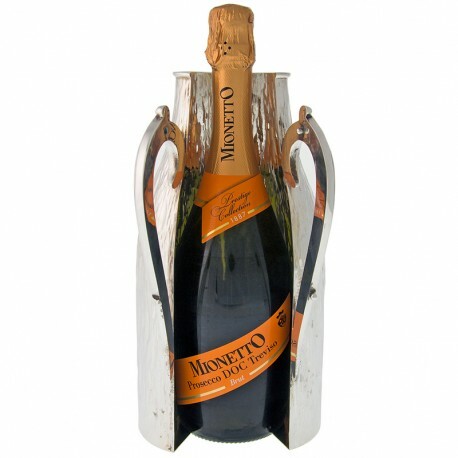 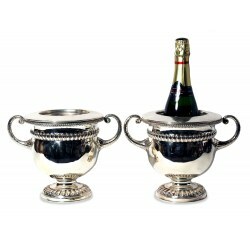 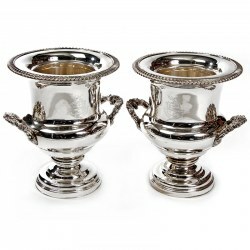 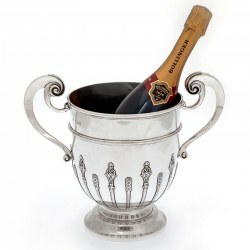 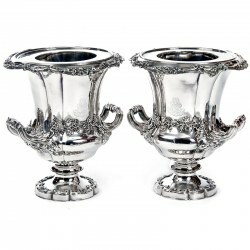 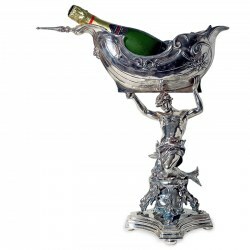 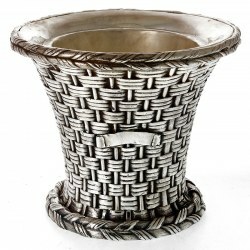 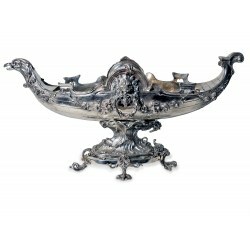 A decorative antique silver plated Champagne or wine bottle holder with a rustic design in the form of a bottle. 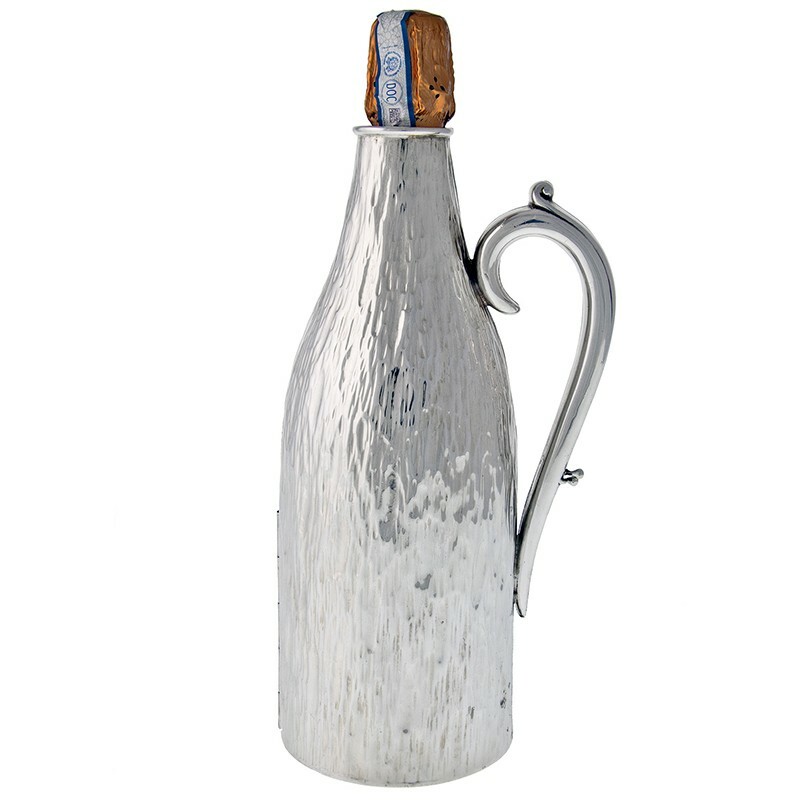 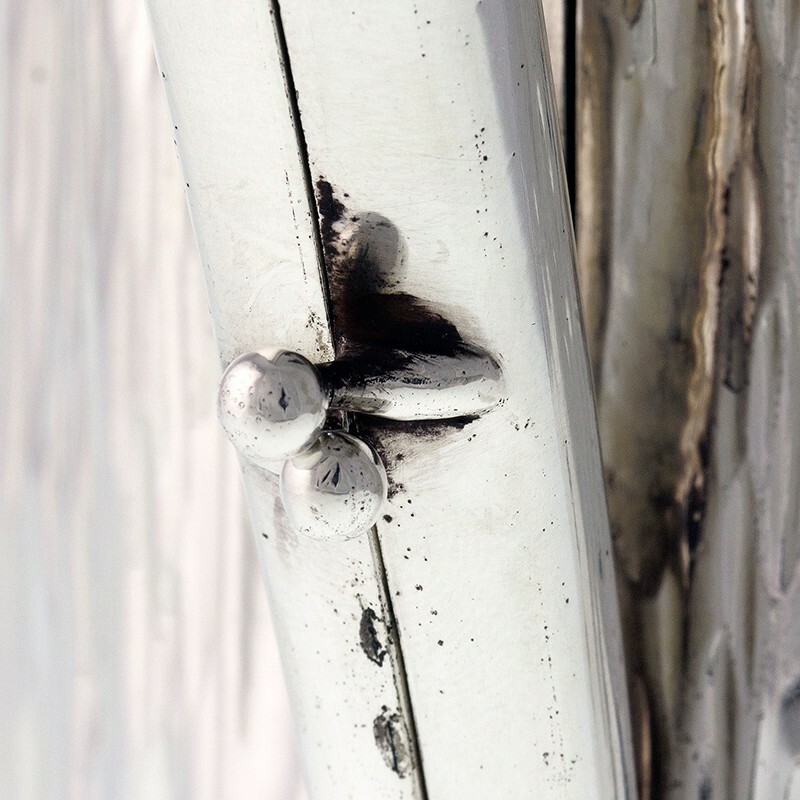 The body is hinged and the scroll handle has been made in two halves, with a twisted ball locking latch. 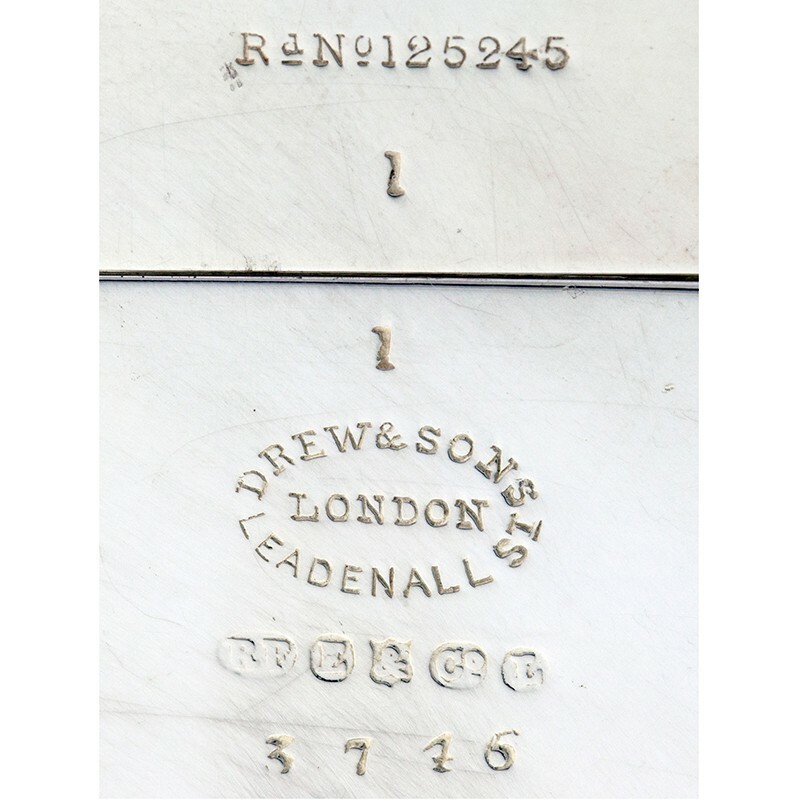 The plating is in perfect condition and the base is stamped with a registration number, 125245 and the retailer, Drew & Son, London. 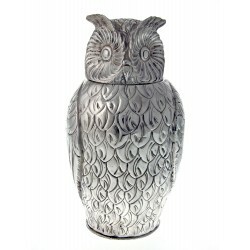 A silver plated wine cooler in the form of an owl.